Green and Glassie: Jiva Cubes Coffee ~ I am Impressed!!!! Jiva Cubes Coffee ~ I am Impressed!!!! 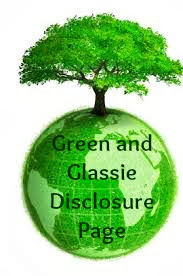 Hi….I wanted to make sure to tell you upfront that the products mentioned in this post have been received for free for evaluation purposes. With that being said rest assure that I only give honest opinions. The opinions are my own and always will be. I know you are asking yourself...What is Jiva? 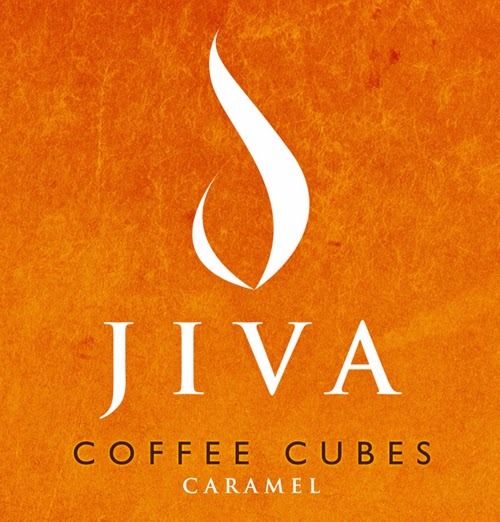 Jiva is Coffee in a cube?? Can this be true? Can I have a excellent cup of coffee - when all I need is Hot Water? No more stale nasty coffee! Excellent coffee as easy as Tea? Wake up Debbie ~ this must be a coffee lovers dream! Check out my adventure with Jiva! Many of you know I work part-time at our local hospital. My day starts at 5am - today I am working in the Emergency Room. Being a coffee lover I always bring my brewed coffee from home. I refuse to drink my coffee on my ride to work...because I know at work I will need every drop to keep me going for the day. After I finish my home brewed coffee...it is hospital coffee! Uck! Since it is the only coffee available I drink it - some days it is so bad I have to move on over to the tea!!! When my box of Jiva arrived ~ right away I thought of work! Jiva is PERFECT!!!! Like I said before...the hospital I work at is known for excellent care - amazing health outcomes, even awarded one of the Best Hospitals Organizations in the USA! Like so many other hospitals their coffee is terrible! I mean TERRIBLE COFFEE! 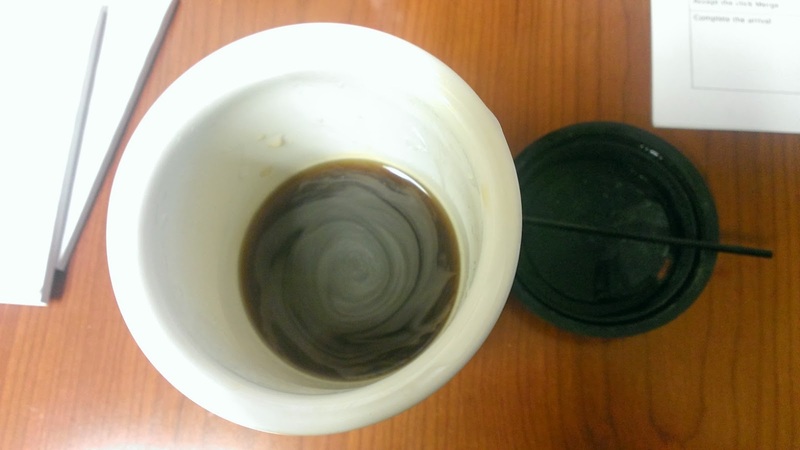 Check out the pics on how easy it was for me to make myself a FANTASTIC cup of COFFEE while working in the ER Department. The ER it is a fast paced keep on your toes position. I love coffee and up until now, I have not been able to enjoy the quality of coffee that I want. Now I can! Thank You Jiva! 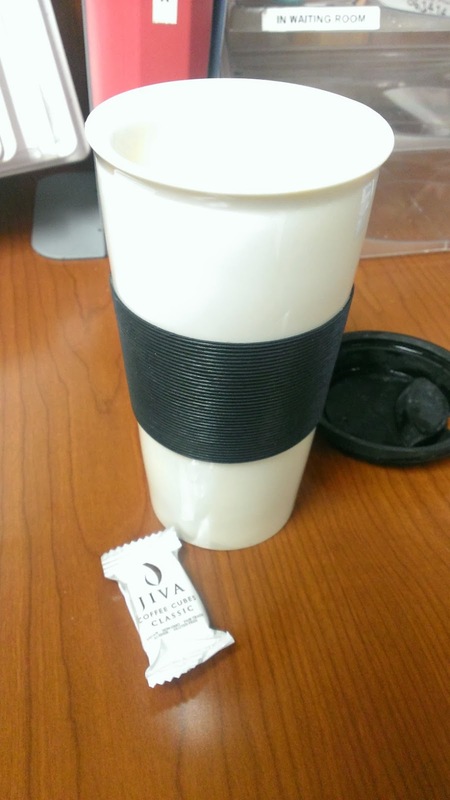 My 1st cup was the Jiva Classic ~ delicious coffee with a slight sweet taste. I normally drink Black Coffee this was a pleasant change. Not sweet sweet - a very slight sweet taste that added to the flavor of the coffee. I have to say the coffee makes me feel like I just had a great tasting cup of coffee in a coffee shop. Very tasty! 24 cups of tasty coffee for $14.99 ~ that is less than 63 cents for a great tasting cup of coffee! The hospital cafeteria charges a $1.00 for terrible cup of coffee. They have fantastic homemade soup in the cafeteria but the coffee - I'll pass! So for me to get a great tasting fresh cup of coffee for 63 cents. Count me in! 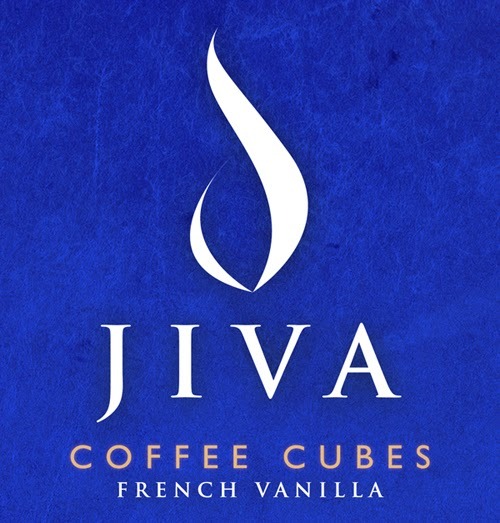 My next cup was Jiva French Vanilla ~ I am not kidding when I opened the pack the French Vanilla coffee cube smelled good enough to eat! Oh My Goodness! It taste as good as it smelled! HUMM GOOD! This cup I added a little more boiling water to see how adding more water affects the coffee taste. The taste is good but I can definitely tell it is a weaker cup of coffee when you add more water. I like a rich coffee so I will need to stick to the 12 oz. I can see where adding a little more water would appeal to people that like a lighter coffee. Being able to tweak the strength of the coffee to your coffee liking is huge in my book. Somedays I want a knock you out of the park strong coffee. This is something I can achieve with less water or a additional cube. My third cup for the day was the Jiva Caramel. Yes, I know three cups may sound like a lot of coffee ~ but for me I am just getting going! The Caramel is also very good tasting. Excellent tasting coffee made with hot water and a Jiva Coffee Cube. When I got home I called my Mom. When I told my Mom about my Jiva experience - the first thing she said was "I hate instant coffee." I said "Mom this is NOT your regular instant coffee. Take it from me!" She said "Are you sure!" I laughed and reminded her of my age and that I am the coffee nut in the family. In our family I am the coffee shop shopper, the newest coffee machine stalker, the person people call and ask about coffee brands and speciality coffee drinks! After she thought for a minute she said "I would like to try that new coffee you are talking about. What is the name?" I said "Sure it is Jiva." After talking to my Mom I think the hardest thing for people will be the terrible reputation instant coffee has. But I do believe that once Jiva is given a change! It will WIN them over to the Jiva side! 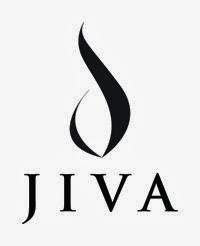 Jiva also has Hot Chocolate ~ Hazelnut ~ Decaf ~ Strong flavors. Since it is so close to Valentine's Day what a perfect gift for the special person in your life that loves coffee ~ Jiva.. Shipping is Free in the USA. $14.99 makes a perfect gift! A gift that will give your coffee lover 24 cups of tasty coffee. Just in time for Valentine's Day!!! When I finish my post I am ordering my Mom her own Jive or Valentine's Day! Special Discount on Valentine's Order!!! Click here to see how to save 15% on your order!! 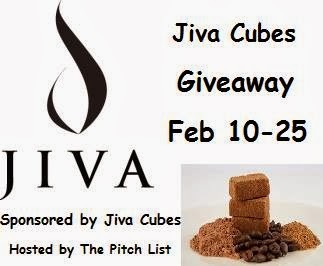 Make sure to check back on February 10th for our Jiva Giveaway! Sounds Yummy. I love the hot chocolate a lot! That's a really neat idea. I don't drink coffee, but I'm interested in the hot cocoa! I'm with Liz! We are the minority who doesn't drink coffee (I bought a coffee makes about 3 years ago when I had company and I've used it twice!). That being said, I LOVE the aroma of a good cup of coffee and I love hot chocolate, too (which I drink for a few weeks when it's cold enough to call it winter in the desert!). I certainly agree with your contention that this product fills the need for a cup of coffee on the run, as you do in the E.R. (and bless you for your service and compassion to patients in the hospital). It wouldn't surprise me if this type of product takes off like crazy!! Oh, the Caramel flavor is right up my alley! I'll definitely be back for the giveaway! Thanks for sharing Jiva...I've never heard of it before! Oh my goodness what an awesome concept - so easy to make coffee! Do they have these in decaf? I would love to try this! I LOVE my coffee fix! This is a really neat idea and great for coffee on the go. I LOVE coffee and tea, and could live on it! These cubes look like they are easy to use, and I take your word that they are delicious! Wow, these are new and unique. Never seen them before. Thanks for sharing. You ladies in the healthcare profession deserve the best! Thanks for all you do! Glad it helps you get going. I want to try the hot cocoa too! This is cool...its like coffee you can take anywhere! I don't drink coffee but I will have to share this with my family members who do. They always complain when they can't get their coffee and this would make it easier! What a great idea! I am wondering why I didn't think of something like this! I bet there are many who would carry this around with them all day! Great product. that's so tiny. and portable. i'd want the coffee and hot cocoa to make mocha drinks! This sounds yummy, especially the caramel one. I love anything caramel. Thanks for sharing. My husband and I don't drink coffee, so this sounds perfect for us to keep on hand for when we have company over! I drink coffee and enjoy it quite a bit. I have never heard of this product before. I would like to try it now that I have heard of it. Thank you for this product review. Coffee in a cube is a great idea! I would love to try these soon! I can not TELL YOU how excited I am to hear about this! I can't wait to show my hubby too! Although I'm not a coffee drinker, this sounds really neat. The caramel Hot Chocolate sounds decadent! Coffee cubes! OMG what an awesome idea! I am on board! This is great in so many ways. Good for on the go and even camping! I don't drink coffee but I would like to try the hot chocolate. I love the concept of this! This is really interesting and I would love to try it! I had never heard of Jiva tell now! Thank you for sharing I am going to go check them out! That's great that there's an option that makes it easier for you! Wow! Good AND convenient! I really need to try these! I am a big coffee drinker! I love the hot chocolate. 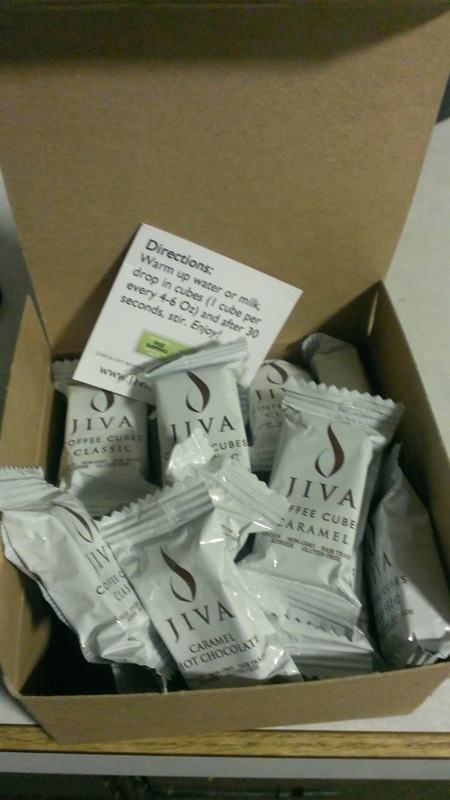 We will definitely be using Jiva on camping trips and I can't wait to order more and try the Mocha! Wow...what a great idea! I love this product and definitely want to try it. Thanks for the great review! Those sound so great! I am definetly going to nab some and give them a try! 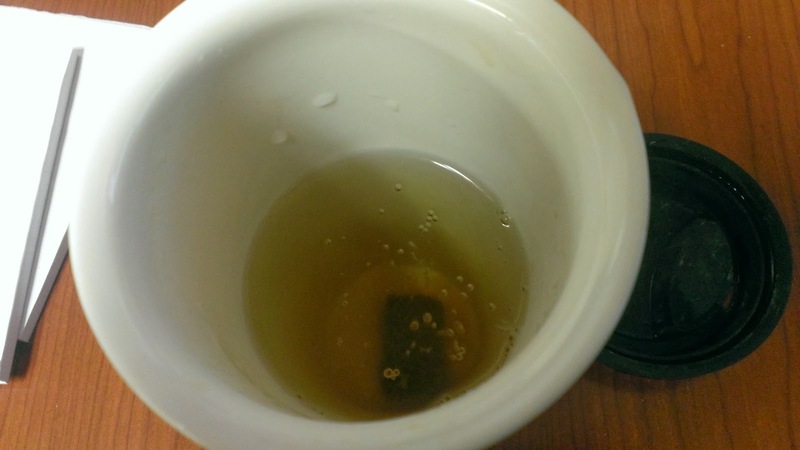 Interesting that you tried boiling water with the coffee... Water just made the coffee taste bland for my household. Too funny about the hospital being really good healthcare wise, but not having good coffee.